Dr. Haider has more than 20 years of experience as a subspecialized abdominal and oncologic imager. He is an internationally recognized leader in the field of Body MRI and prostate MRI. His work on diffusion weighted imaging for the diagnosis and localization of prostate cancer has contributed to the field of prostate cancer diagnosis and therapy. He has been the Head of Abdominal MRI at teaching centers in Toronto for 16 years. He is Professor of Radiology in the Faculty of Medicine at the University of Toronto, Senior Scientist at the Lunenfeld-Tanenbaum Research Institute and a Clinician Scientist in the Ontario Institute of Cancer Research. His research includes work in therapeutic response assessment and functional imaging of cancer using MRI and CT. He has a special interest in prostate cancer, pancreatic, renal and primary and secondary liver disease. His lab focuses on development of post processing techniques for quantitative imaging and biomarker assessment as well as computer aided diagnosis leveraging the fields of radiomics and artificial neural networks. Dr. Haider has held peer reviewed grants from the Prostate Cancer Research Foundation of Canada, National Cancer Institute of Canada, the Cancer Imaging Network of Ontario, the Ontario Institute of Cancer Research and the NIH for MRI-related research. He is an active participant in functional tumor imaging research projects and therapeutic response assessment trials in medical, radiation and surgical. He has published more than 170 peer reviewed papers. He has been part of team based new technology assessment in MRI controlled thermal therapies of prostate cancer, computer aided diagnosis and new receiver coil development. 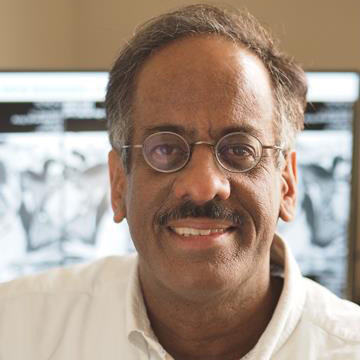 His ongoing work is focused on the assessment of multiparametric prostate MRI in the active surveillance and screening settings and detailed radiologic pathologic correlation of prostate and pancreatic cancers with MRI and CT biomarkers.